Frankincense Essential Oil, the stuff of so many ancient remedies, religious celebrations, and a highly prized substance. Do YOU know what it is? 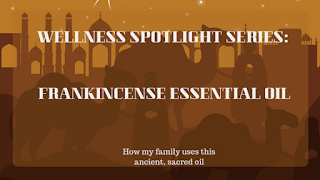 I will be telling you a little more about this wonderful oil and how I personally use it with my family. I add a tiny amount of Frankincense pretty much everywhere, as its benefits are too many to count. This includes skincare, bathtime care, in a diffuser to help create a calming and relaxing environment, in hair care products, and even in an essential oil blend to combat body odor. 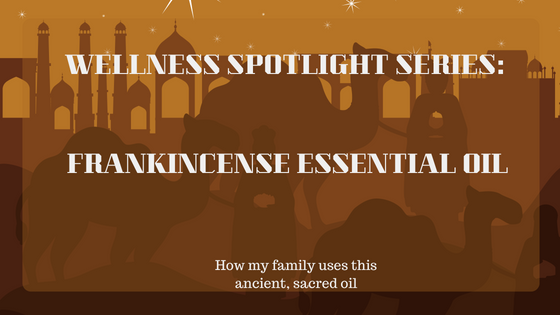 Here's a brief introduction for why I love frankincense and how I use it. As I mentioned in my other post, about lavender, frankincense is also very useful to combat skin and hair issues. This is a main ingredient of pretty much every single skin care product I make. As product purity and toxin free products are a huge issue for me, nearly all the products I use are either made by me or by someone I trust. So, therefore, I can add frankincense and other oils into my products and enjoy the benefits of them without any possible side effects. Both frankincense and lavender (and a few others) are good for helping the scalp stay healthy, awesome for the skin, and worth their weight in gold (in my humble opinion). Frankincense is also good for both calming and for soothing skin care! So, if you have crazy wild children like I do, you're scrambling for anything to get them to calm down a lot, especially at night. Try lavender and frankincense in their bath water and as a refreshing soak! Bonus scalp care and skin care help, plus it helps the body relax and settle down. My kids go down immediately or pretty close to after they get out of the bath, so I'd have to say it works for us. I put frankincence in my diffuser along with another blend called "Grounding" as a way to provide a motivating atmosphere while I'm working. As a stay home mommy with very little in the way of things to get the kids out of the house, sometimes having to stay motivated while "Cat in the Hat" and "Ninja Power Rangers" is blaring is pretty much a way of life. I diffuse those together and it helps me to continue working when normally I'd give up in a huff and not get anything done. To conclude, since I don't want to overwhelm with information right now, I believe that frankincense essential oil is a great oil to have. I put it in literally everything, and it works fantastically for my family. As always, please contact me either through a comment, on my Facebook page, or however you'd like and I'll get you more information! Would love to hear more from you and to learn what types of oils you'd like to try or how to get started with your own premium starter kit!